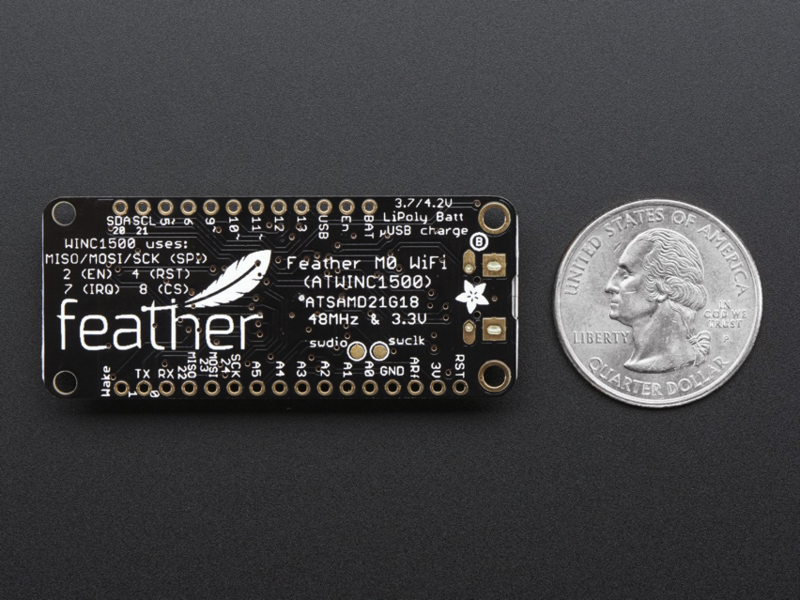 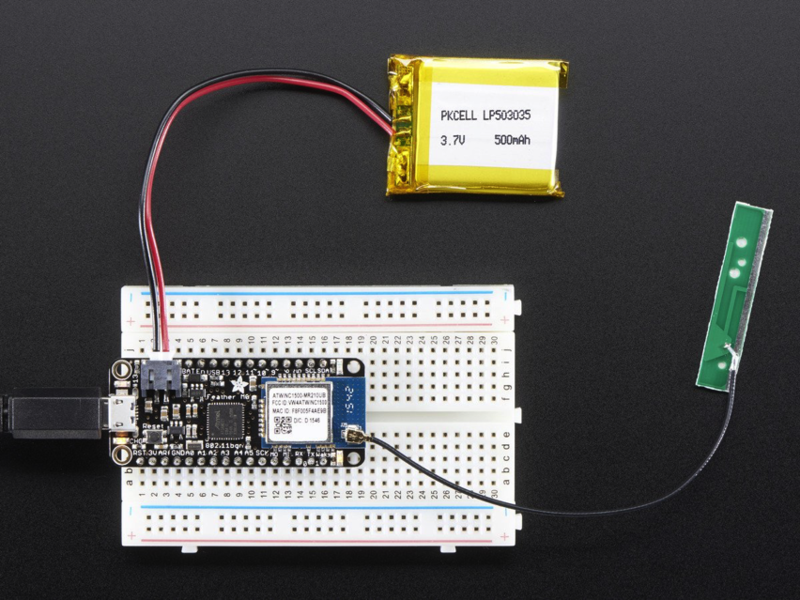 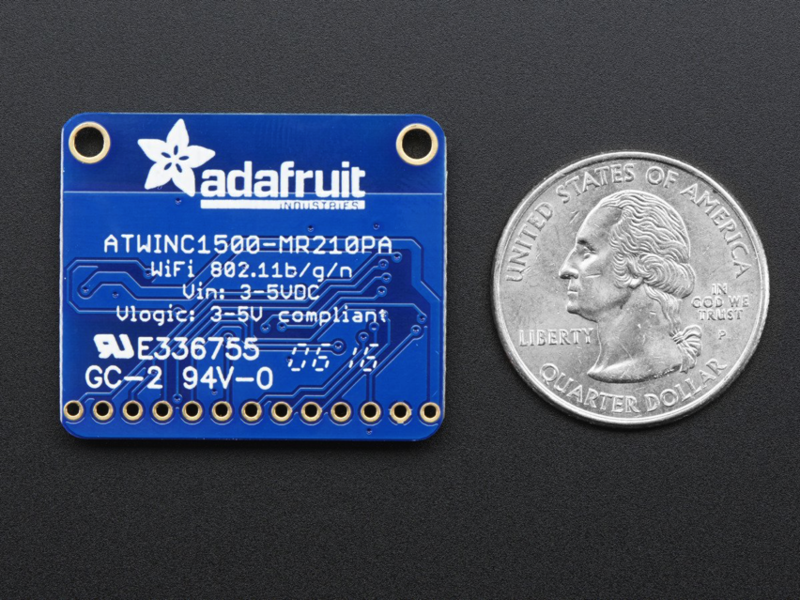 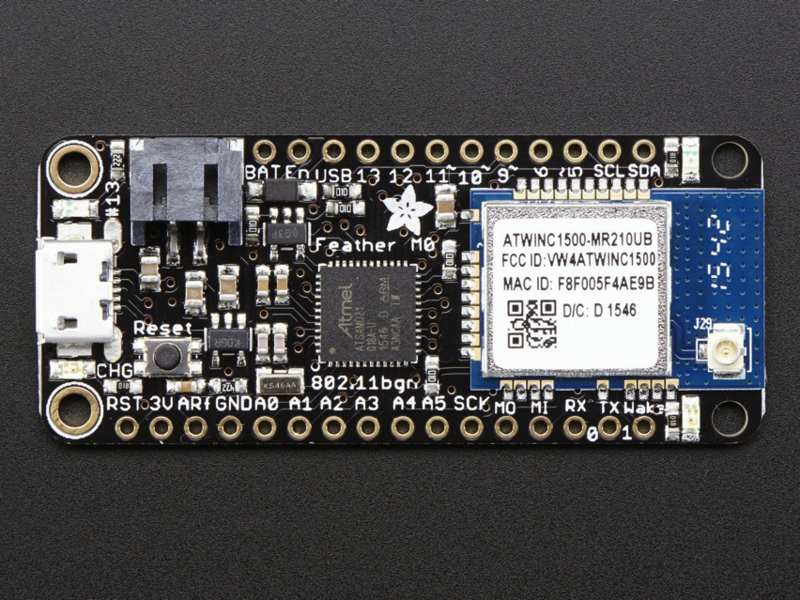 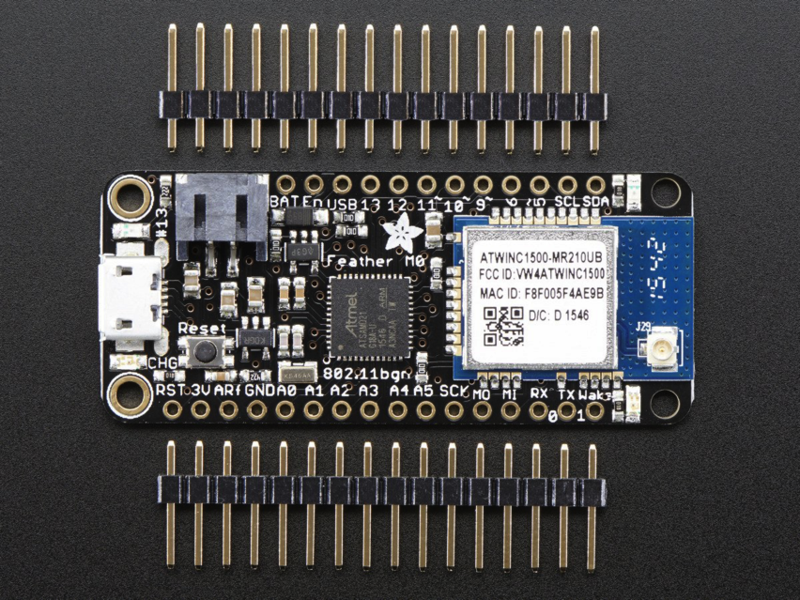 NEW PRODUCTS – Adafruit ATWINC1500 WiFi Breakout with uFL Connector – fw 19.4.4 / Adafruit Feather M0 WiFi with uFL – ATSAMD21 + ATWINC1500 – fw 19.4.4 « Adafruit Industries – Makers, hackers, artists, designers and engineers! 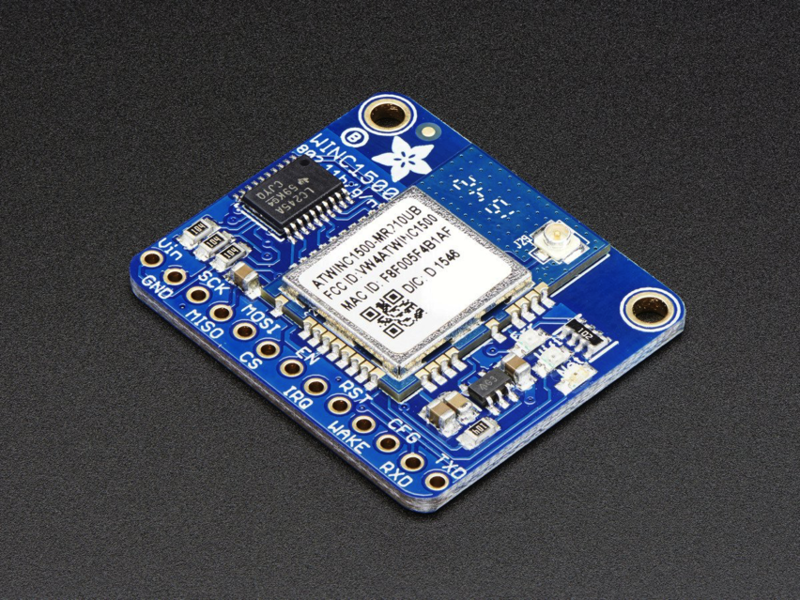 This module works with 802.11b, g, or n networks & supports WEP, WPA and WPA2 encryption. 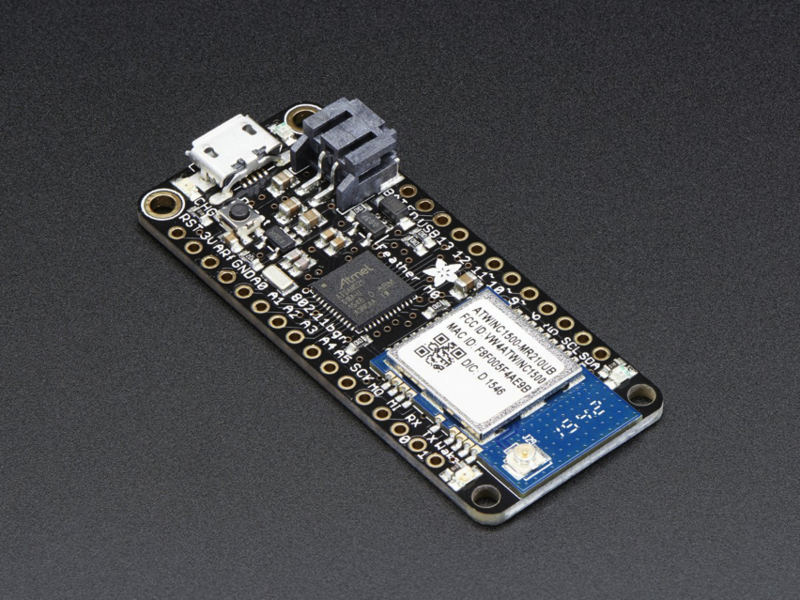 The datasheet says it can do Soft-AP mode but we don’t have any code to actually use that. 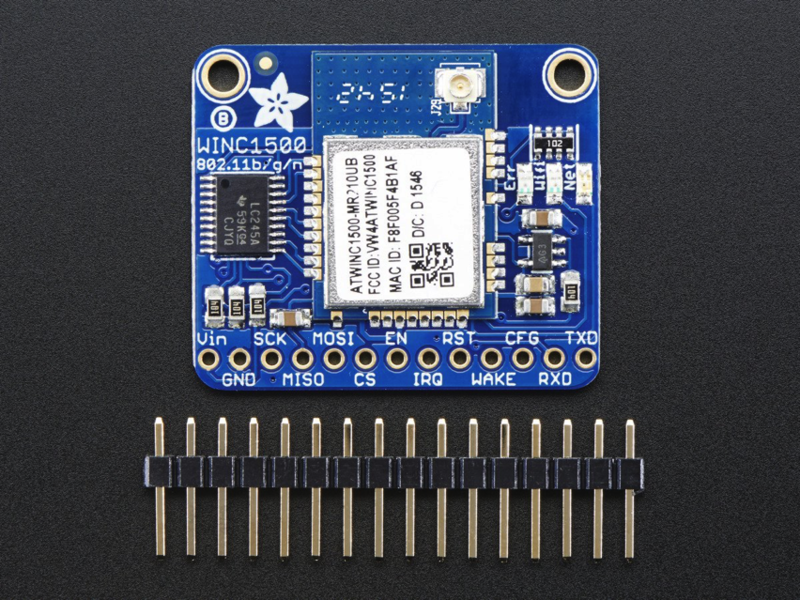 Note: This version does not come with an onboard antenna, you will need a uFL connector antenna such as 2.4GHz Mini Flexible WiFi Antenna – not included! 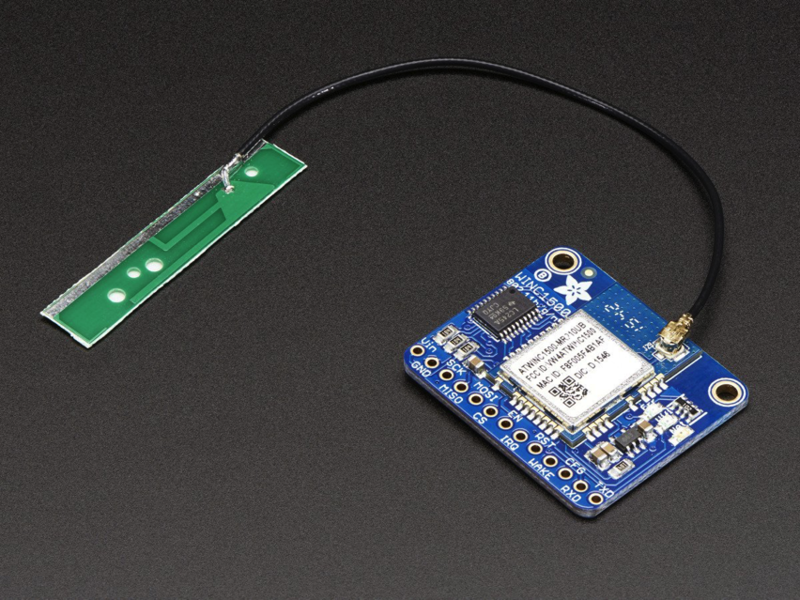 We have a version with on-board antenna as well.